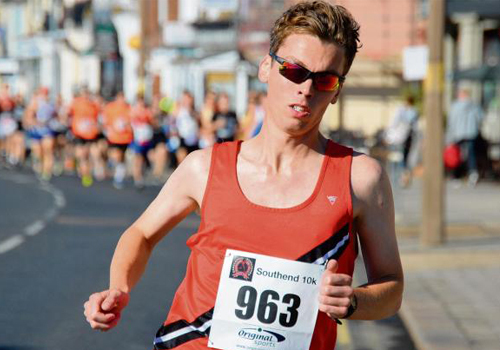 Paul Whittaker is a long distance runner from Southend, who enjoys competing in a variety of endurance events from 1500m to the Marathon and has currently clocked up some pretty impressive PB’s. Throughout Paul’s athletic career, he has represent England – over both Road races and Cross country events. One of his best achievements to date was running in the London Olympic 2012 trials over 10,000m and he hopes to partake in this opportunity again ahead of the 2016 Rio Olympics. We are thrilled to have Paul on the new-revamped Torq Performance Running squad and feel that he’s got a fantastic future in athletics ahead of him. We and our team sponsors wish him the very best of luck and success in the future. Recently (on September 13th 2015), Paul could be seen lining up on the front grid at the 2015 Great North Run in the Elite race with some of the World’s greatest distance runners. Details soon to follow.